The reported Marian apparitions of Medjurgorje are perhaps the best known of the unapproved contemporary apparitions. 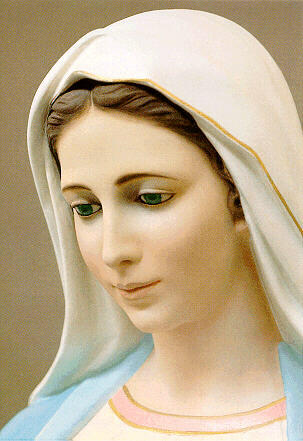 Mary is reported to appear in Medjugorje on a daily basis from 1981 right up to the present day. Since formal investigation and approval by the Church cannot take place until an apparition has been completed, Medjugorje does not have formal approval by the Church. All who write about Medjugorje, including this author, submit to the final judgement of the Catholic Church . A pilgrimage to Medjugorje is truly one of the most inspiring events that can take place in one's life, and judging by its fruits, 25 million pilgrims to this little village in the mountains of Hercegovina return inspired and renewed in their faith. Medjugorje merits consideration. If Mary has been truly appearing for 20 years in this picturesque village, then what a significant event indeed! Medjugorje is a village of 400 families, nestled between two mountain ranges in Hercegovina, and surrounded by grape vineyards. It is about a three-hour bus ride through Dalmatia (the original home of the Dalmatian), now known as Croatia, from Split on the Adriatic Sea. Key places in Medjugorje are St. James Catholic Church in the center of the valley; Mount Krisevac, or Cross Mountain, on the top of which was erected a large cross in 1933, in memory of the death of Jesus 1900 years earlier; and Apparition Hill on Mount Podbrdo. June 24, 1981, the feast day of St. John the Baptist (who heralded the First coming of the Messiah), was a holiday in Medjugorje and no one worked in the fields. Two young girls, Ivanka Ivankovich, age 15, and Mirjana Dragicevic, age 16, were walking by Mount Podbrdo. Ivanka turned and saw a brilliant light, and in the light she saw a beautiful woman holding her baby. She turned to Mirjana and said, "I think that Our Lady is on the hill." At first Mirjana would not look, and began walking back to the village. But Mirjana described a strange feeling inside her, that made her want to return, and she went back to where Ivanka stood. Ivanka said, "Look now, please." Mirjana looked and saw a woman in a long, grey dress with a child in her arms. Another girl named Milka Pavlovic, age 13, also came and saw. Ivan came by carrying apples, and also saw the woman surrounded by the brilliant light. They were joined by Vicka Ivankovic, age 17, who described the woman as having dark hair and a pale white complexion, and she was holding an infant in her arms. When she beckoned them to come up the hill, they were frozen in fear. They became afraid and ran away. When they went home and told their families, they were scolded and ridiculed. Vicka's grandmother suggested they go back up the hill the next day and throw holy water at the apparition, and that would tell whether it was truly a heavenly spirit. The next evening, June 25, 1981, Vicka, Ivanka, and Mirjana felt an urging to return to the mountain. When they stopped to get Milka, she was away with her mother, so they invited her sister Marija Pavlovic, age 17, to join them. Ivan Dragicevic, age 16, who had run away the day before, decided to go, and Mirjana brought Jakov Colo, age 10, with them. They again saw great flashes of light, and were afraid. Then the beautiful woman appeared, this time without the child and beckoned to them. This time they ran up the hill, and began to pray. By all accounts, her first words were "Praised be Jesus." "Do not be afraid, dear angels. I am the Mother of all the people." The children asked her why she had come. "I have come to tell you that God exists, and He loves you." "Blessed are those who have not seen and who believe." On the way down the mountain, after the apparition is over, Marija walked off the path to where she saw a shining bare cross, and saw the Blessed Mother sobbing. "Peace, Peace, Peace! Be reconciled! Only Peace. Make your peace with God and among yourselves. For that, it is necessary to believe, to pray, to fast, to go to confession." The six of them, Ivanka Ivankovic, Mirjana Dragicevic, Vicka Ivankovic, Marija Pavlovic, Ivan Dragicevic,and Jakov Colo have become known and would remain the six visionaries of Medjugorje. Medjugorje was still under Communist rule at the time, and the authorities were opposed to the apparition. They turned to the pastor of St. James Catholic Church, Father Jozo Zovko, to handle the situation. Father Jozo was at first skeptical of the apparitions. One week after the apparitions began, the police decided to arrest the visionaries. Father Jozo was praying alone in the Church. He suddenly heard the words "Go out now and protect the children." Stunned by the clearly audible message, he ran and opened the back door of the Church, and saw the children running towards him begging for help and crying. He hid them inside the Church. When the authorities came, they asked Father Jozo quickly, "Have you seen those children?" He answered, "Yes." Before the police asked where, they charged off in the direction of Apparition Hill (Mount Podbrdo). That day the apparition took place in the Church, and Father Jozo saw as well. From then on, he became the leading defender of the apparitions, and was ultimately jailed for 18 months at hard labor for refusing to close the Church or put a stop to the apparitions. For the first three years of the daily apparitions, the messages of Mary were directed to the visionaries themselves and to St. James Parish. Her message is one of love and peace: peace in your heart, peace in your family, peace in your community, peace in the world. Mary loves all of us as her children, and she wants to save all of us, and bring us all back to God. 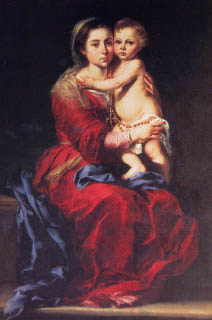 The message of Mary is to bring love and forgiveness for mankind through peace, conversion, fasting, penance, and prayer. We can bring peace through the corporal and spiritual works of mercy. Forgiveness is the key to peace. Conversion means total commitment to God and His commandments, and the avoidance of sin. Mary asks us to fast on Wednesdays and Fridays, as self-denial helps one in self-control. She asks us to offer penance for our sins, and for Catholics to go to confession at least once a month. She asks us to pray with the heart by daily reading of Holy Scripture. Her favorite prayer is the Rosary. She also wants us to attend Church and receive her Son Jesus in our hearts through communion. She calls all people, for we are all children of God. She wants us to be messengers of love and mercy, and spread the Word of God. Has the time come for the whole world to finally listen, and live in harmony with our Creator? Mary has given the visionaries Mirjana, Ivanka, and Jakov 10 secrets each on future events of mankind. Mirjana received all 10 secrets by December 24, 1982 and now sees Mary on her birthday and the second of every month. Ivanka received all 10 secrets by May 7, 1985, and now sees Mary yearly on June 25. Jakov just received the tenth secret on September 12, 1998, and was told he will see Mary Christmas Day. Ivan, Vicka, and Marija have nine secrets each and still see Mary daily. The events will begin to occur when all six visionaries have all ten secrets. The message of Mary is one of light and hope! How peaceful this world would be if we are merciful and forgive offenses and show love and respect to others! Essential to her message are that these 10 events may be mitigated if mankind has a change of heart, and respects God and our neighbor. The Apparitions of Mary in Medjugorje.